TELL ME TUESDAY is a feature that oozed from a post Twitter Party fried-brains stupor I suffered a while ago. It is a weekly, or bi-weekly feature (depending on your reading style), where you tell us what you are reading now, and why, and what you will be reading in the future from your tbr pile, and why. I am oh so curious why people read what they read. So tell me! Remember the book I was going to start after A DARKER SHADE OF MAGIC (ADSOM was magnificent btw)? Too bad the writing was awful because I was looking forward to reading about twin succubi. Oh well. 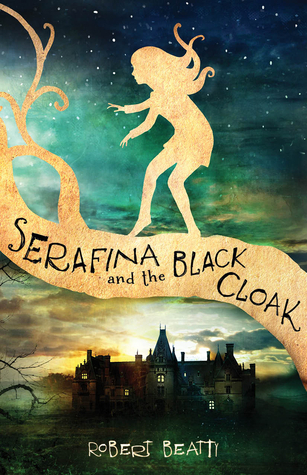 Right now I am reading SERAFINA AND THE BLACK CLOAK. It is a Middle Grade about a girl living secretly in the Biltmore Estate in 1899. There is a paranormal aspect to it, and I would only recommend it for the oldest ages of the MG crowd because it is extremely SCARY! I love the historical inclusions, and what a terrific cover. I am also going to start THE SIREN, today. I had it pre-ordered and it popped up on my Kindle Fire carousel at midnight. It is by my tied for favorite vampire author MR Graham (Anne Rice is the other). This is not about vampires in the traditional sense. It has an emotion sucking alien! At only 182 pages is it consideted a novella? Anyway, I am excited to read it because my love of all things extraterrestrial is extreme. This ebook is only 99¢ if you want to get to know this author's writing. 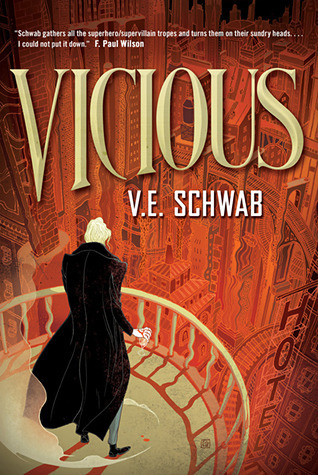 The ebook of VICIOUS by V.E. Schwab (it is V.E. not Victoria, so it is Adult Fiction) was $2.99 yesterday and I snapped it up! After reading and twirling about ADSOM, I think this will be my next read. I thought it was a standalone, but it is book one in a series. I just received the Red Death duology in a trade last week. 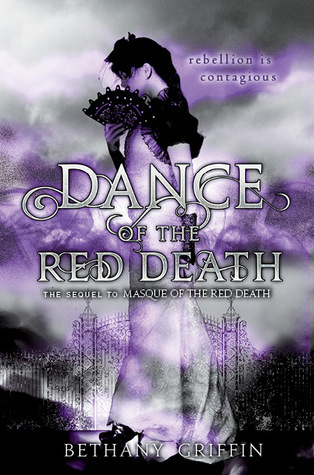 I read the first book MASQUE OF THE RED DEATH ages ago, and this book has been out since 2013. 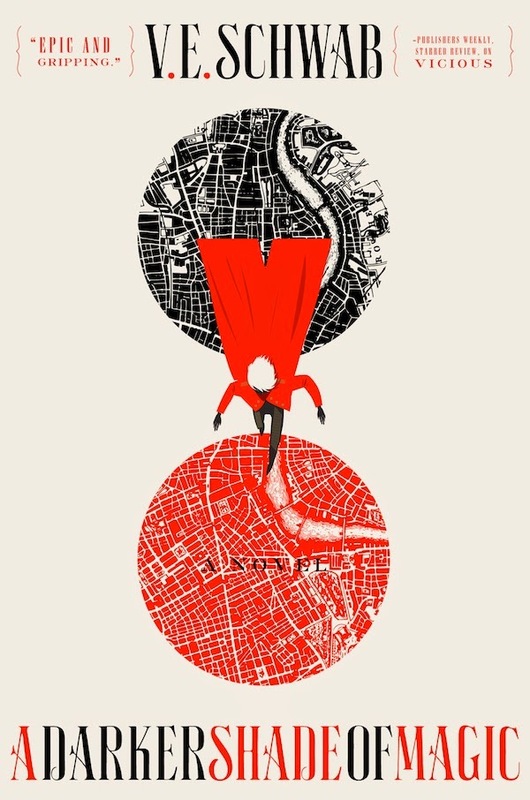 I Ravenously ate up every word of MotRD, but was having trouble getting into DANCE OF THE RED DEATH when I borrowed it from the lbrary last year. I hope having the time for a leisurely read will remedy that problem. I did my usual TELL ME TUESDAY post. I have added the TEASER TUESDAY meme to it. I thought it fit perfectly with the TMT theme. "Would you miss me?" she asked. "Like an itch," he shot back. You can read the entire TMT post, HERE. I also posted my first STACKING THE SHELVES! I am going to be blogging my monthly book hauls on the last Saturday of each month from now on using the STS meme and link-up. You can peruse my June book haul, HERE. I came across Sophia's vlog/blog RAVENS AND WRITING DESKS post about audiobooks via her tweet on Twitter. It was thought provoking and I bookmarked it so I can go back and leave a substantial comment. She asked about our feelings on audiobooks and how/if we use them. You can watch her video and view her blog, HERE. I am almost finished with A DARKER SHADE OF MAGIC and unless it tanks in the last 20% of the story (which I have heard is even more exciting than the rest of the book), it is taking the throne as my favorite book so far this year. In fact, I have stopped reading everything else so it is the only story in my head. What happens when you stumble upon something a favorite author (or any author for that matter) says out in social media that is thoughtless? An author tweeted that the reason people have bad things happen to them is because they put negative energies out into the universe. I cringed thinking what someone with depression, or a serious illness would take away and probably internalize from that. I commented asking then why do good people have awful things happen to them. She didn't reply. I have only read one of her books and was planning on getting to the second one in the series I was reading, but her tweet sentiments seem to have dulled my fervor for the series right now. I am hoping that waiting for the final book to come next year, before continuing, will give me enough space to enjoy her stories again. Has something an author has said or done ever impacted your excitement for their books? I am going to attempt the UNPOPULAR OPINIONS TAG. I saw this on Cait's blog PAPER FURY, and also Faye's vlog for THE SOCIAL POTATO (click on the names and you will be wisked away to their posts). They both have invited anyone interested to join in. AND... 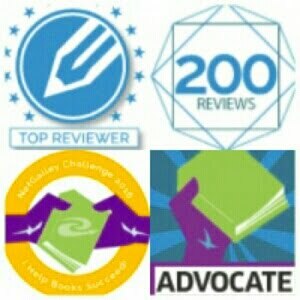 I AM GOING TO START MY REVIEW LISTINGS PAGE!!!! I know I have said this before, but I am going to get a couple reviews posted! 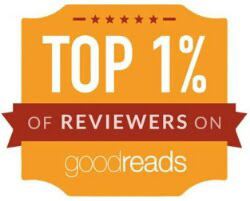 One is a revamp of a review I did when I first started blogging of BLINDED BY THE LIGHT. It was a terrific Dystopian and the review is, by my now veteran blogging standards, lacklustre. I am going to gif it up a bit and add some quotes. I am also on the home stretch with my THE INFINITE review draft. In fact I thought I was going to have it ready by Monday, but Blogger was being a #&$@ yesterday. I hope you liked the Adventure Time/Sunday Pusheen mash-up. ORLEANS - Paperback: there were two, but I had already sent one out as a gift to Elizabeth at So Long & Thanks For All the Fish. This one is for a giveaway, so be watching out for that. RECKLESS - Hardcover: I loved the Inkheart trilogy and want to read this series, too. I won Erin's QUIRK BOOKS giveaway from her blog, The Book Nut! 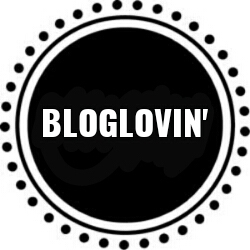 You should check out her blog because she has terrific giveaways. THE DREAM THIEVES - Hardcover: traded for an oversized Ness softcover. I have all three in hardcover now. A DARKER SHADE OF MAGIC - Hardcover: traded for a signed HC of Dorothy Must Die. I think the ink has the essence of roses. If you have a hardcover take a whiff and tell me what you think. RED DEATH DUOLOGY - Hardcovers: traded for a signed Compulsion HC and an oversized softcover of Horrorstor. I adored the first book and need to read the second. Tops on my trades wishlist right now is Shadow and Bone in HC with dust jacket. It will complete the trilogy in HC for my shelves! If you have one and want to trade, you can see my trade books, HERE. WICKED - Last month I bought the ebook on special for $1.99 to reread (I like ebooks better), and just got around to adding the narration last week for $2.99, so I guess I will be listening to it, instead. SON OF A WITCH - I finally used my Audible 30 day free trial credit. The narration is by Maguire, himself! Thanks Doodle Art Alley Books! I will be doing a special post about adult coloring books, and am going to be giving away this coloring book with a pack of art markers, so be on the lookout for that contest. I don't request physical ARCs any longer because I love my ereaders so much! If I really love a book I will buy (or trade for) a finished copy for my shelves. Let me know your top aquirings for June! Starting this week I am also going to be hooking up with TEASER TUESDAY because it fits right in with TMT, perfectly! I saw this feature on Greg's blog BOOK HAVEN. If you do a Teaser Tuesday post on your blog be sure to come back and leave the link in the comments below. You can also leave your teaser in the comments if you don't have a blog, or you don't want to blog a post. I am reading A DARKER SHADE OF MAGIC, exclusively. This is a rarity for me. I am not even listening to the Oz audiobooks. All I want in my head is ADSOM! It is definitely my favorite book so far this year. My next read will be this non-ARC review book from Netgalley. It is about twin succubi. This is definitely a first for me! As usual I posted a TELL ME TUESDAY. I started reading my hardcover of A DARKER SHADE OF MAGIC, which by the way is the best book I have read so far this year, and thought the ink smelled faintly of roses (if you keep the book closed and sniff the page edges it seems more apparent to me). If you have read the book you know the significance of this. I tweeted about it to the author and her only "reply" was to re-tweet it. What do you think that means? *UPDATE: Oh my goodness, I didn't think this question read like I was irked she didn't answer! Nooooooo... V.E. answers us on Twitter all the time! In fact that's why I questioned the RT; was it a nod to yes, the ink does have rose essence in it, or was she just tickling mystery? I traded a signed Dorothy Must Die for it. Best trade EVER! I also learned that if the author's books say V.C. Schwab they are Adult Fiction, and if they say Victoria Schwab, they are YA. 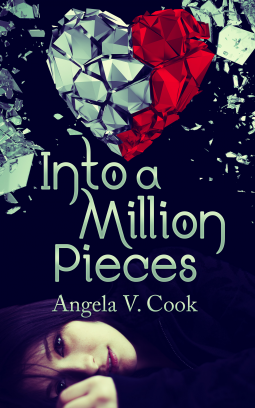 I found out that my most anticipated book this year (now that The Raven King was pushed back to January), OF DELICATE PIECES (the sequel to Of Breakable Things), which had already been pushed to August from May, is now pushed back to OCTOBER! And not even a cover to gaze at longingly. 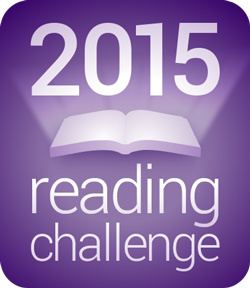 I upped my Goodreadss challenge from 52 to 104 books, and am at 68 right now. I did a redesign on my Middle Grade blog and changed the name from Mom in the Middle (boring), to PAPER DRAGONS, in preparation for my big Harry Potter homage post. I have started working on the post and plan to go live with it on July 31st, Harry and JKR's birthdays. Plus there will be a giveaway. An elderly woman was the last speaker of her Native American tongue, and took it upon herself to type a complete dictionary using one finger. You can view a short documentary about it, HERE. In your opinion, what is the difference between a writer and an author? I was wondering because someone on Twitter was referring to themselves as an "author" because they are submitting manuscripts. I was under the impression an author was a published writer. I had to quickly finish up two 2 books I was reading yesterday. One had to go back to the library, and the other had to have three reviews posted (Amazon, Goodreads, blog) before noon in order to be eligible for a $50 Rafflecopter reviewer pool. Then I had four bookish packages to get ready to post during my lunchtime. All of this took place in heat and high humidity, with the knowledge I had to also grocery shop after work. So today picking a book to read was the last thing on my mind. So... I am currently not reading anything. I don't have any ARCs due until July 14th and at this point it is the only one that month, and August has just one (so far), but there are a boat load for September. 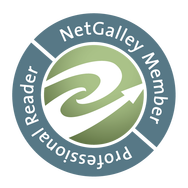 an author friend of some author friends had a book on Netgalley I requested and was approved for. It isn't an ARC though, so there is no time pressure. can you help me out, here? What book should I eat, I mean read, next?